That’s right! 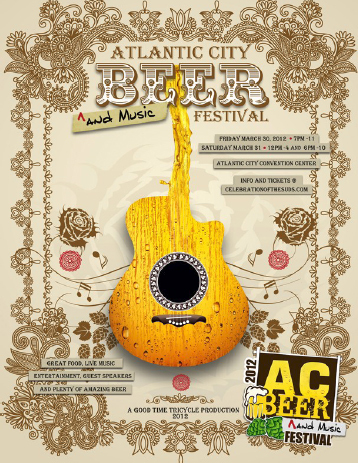 It’s back again – the Atlantic City Beer and Music Festival! Featuring brewers from around the world and a great day of suds. For two days Atlantic City will be taken over by beer lovers from all over to sample some of the finest micro brews available. The Atlantic City Beer Festival is located at the Atlantic City Convention Center which is at 1 Convention Center Way, AC, NJ 08401. This is a great venue and we had a blast attending the festival last year. The Atlantic City Beer Festival will have 3 great sessions across 2 days. March 30 and 31, 2012. The first session is on Friday March 30 and runs from 7:00pm until 11:00pm then it is followed up by the second session on Saturday which runs from 12pm until 4:00pm. 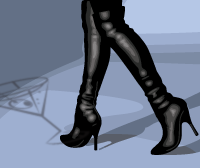 The Third session is Saturday and runs from 6:00pm until 10:00pm.